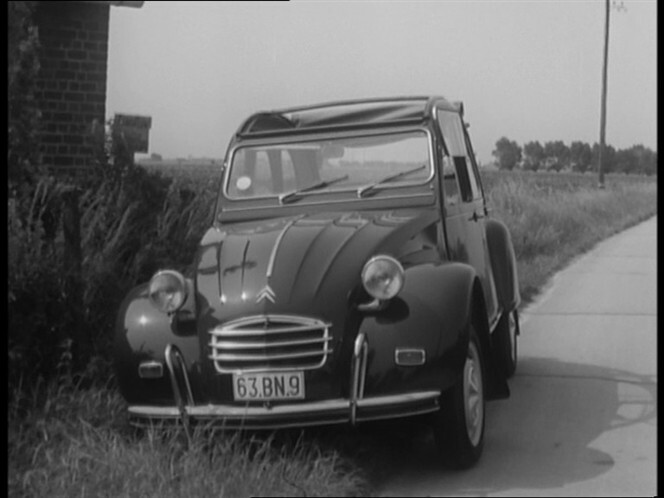 IMCDb.org: 1966 Citroën 2CV AZAM 6 in "Axel Nort, 1966"
This was a luxus version with rectangular front directional lights. 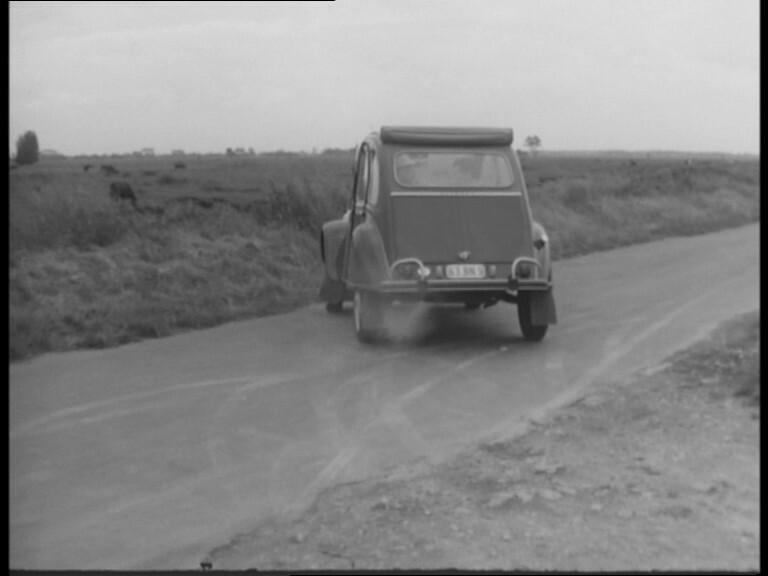 Since 1962 most Belgian built 2CV's had such indicators. This is an AZM3 (the Belgian version of the AZAM) or an AZAM 6 (the Belgian version of the AZAM with chassis and engine of the AMI 6). To be sure we'd nee to see a badge on the trunk or the presence or absence of an exhaust pipe on the rear. 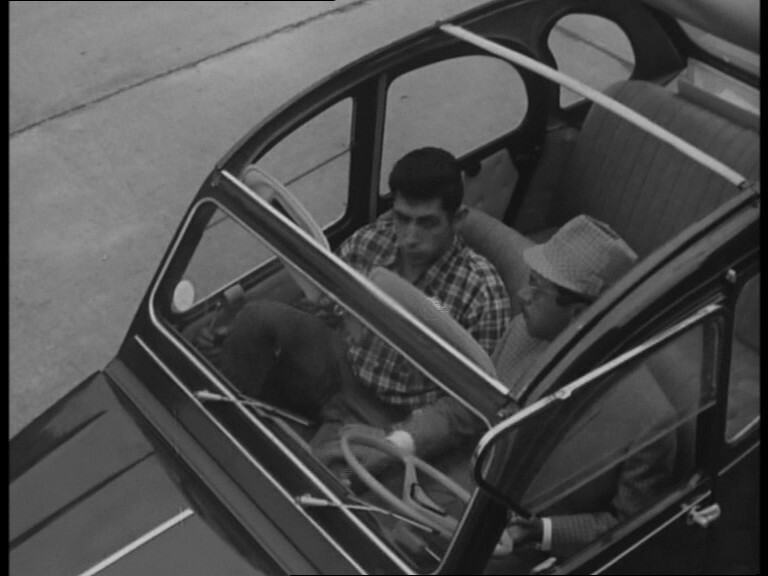 By the new grille and the presence of a washer in the lower corner of the windshield this is a 1966 version. Any views of the rear? @Dynamike - not at hand, but I'll go through the disk again, and see I can get a nice sreenshot from its tail. Thanks Chris, very much appreciated If it is an AZAM 6 indeed (which I think it is) it is a rare and sought after thing. In Holland less than 20 are known (one of them belongs to a friend of mine and I have had many opportunities to drive it...). I've managed to get a few shots of its rear. 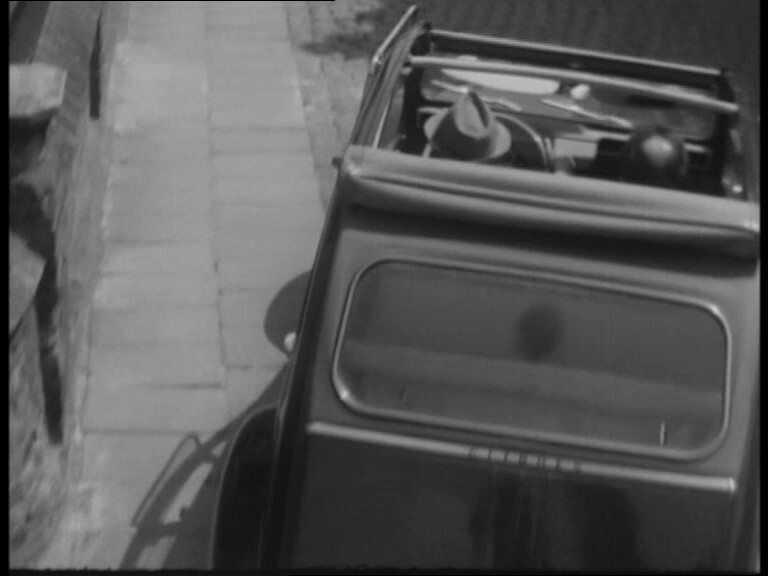 The pictures are the best I could get; the quality of the cameras used in a low-budget series made in Holland/Belgium were a far cry from what serie-makers in the USA had at their disposal. The upholstery looks rather luxurious to me. 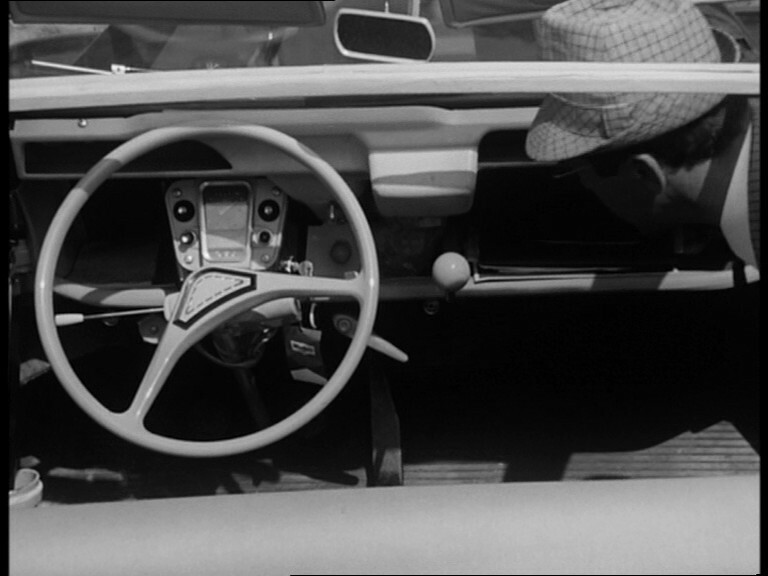 In one of the episodes, the criminal gang tries to eliminate Nort by planting a bomb in his car. Nort however get suspicious, atttaches a fish-line to the start-buttton and pulls the line from distance. The car of course is blown to smithereens. 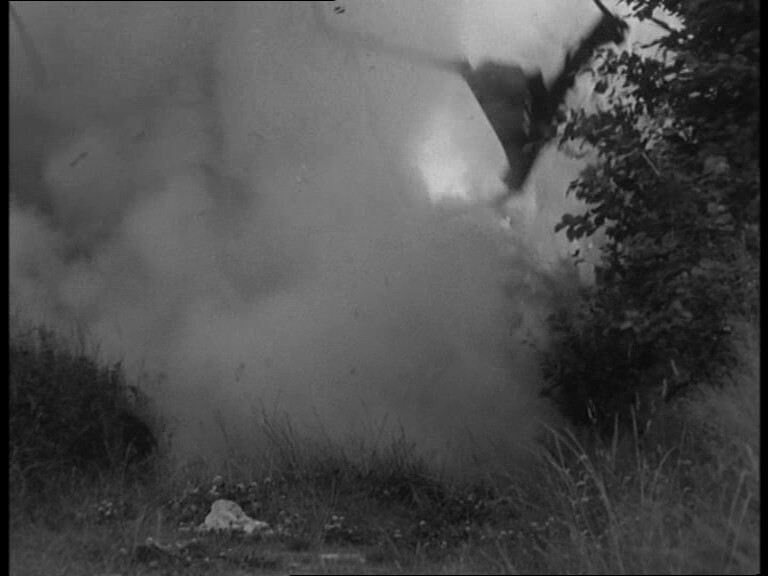 But just before the explosion, in a split second, one gets a view of the car that is to be blown to kingdom come. 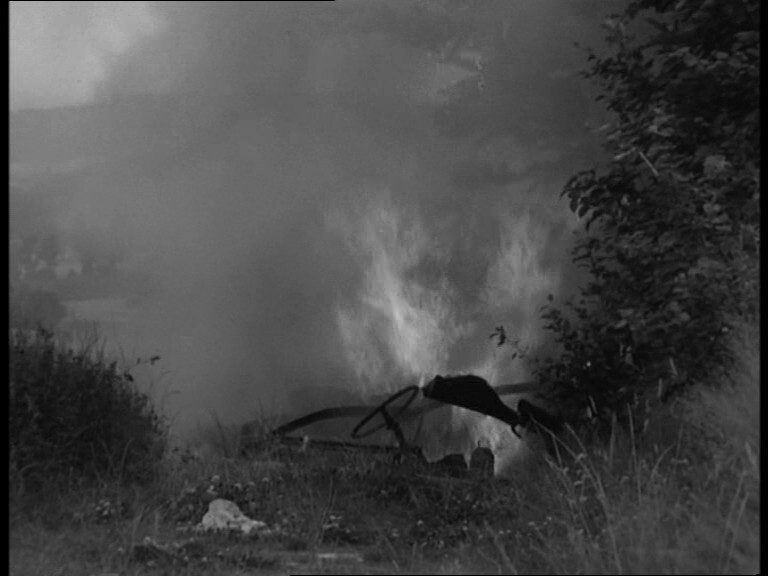 Clearly the producers had no intention of blowing up the brand-new car, but instead used a stripped carcass of an older 2CV. For instance it has a rather different grille. 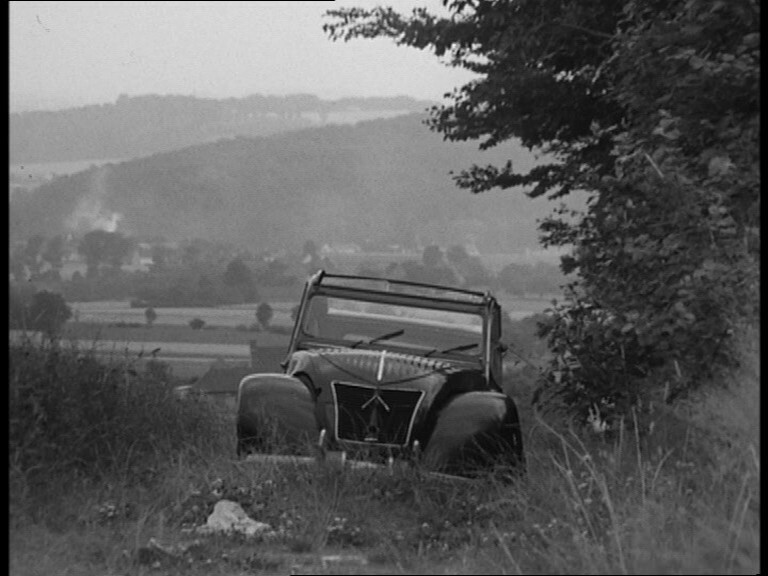 Can you make out what sort of 2CV this has been? Thanks a lot for these extra pics, Chris! Alas they are a bit confusing... 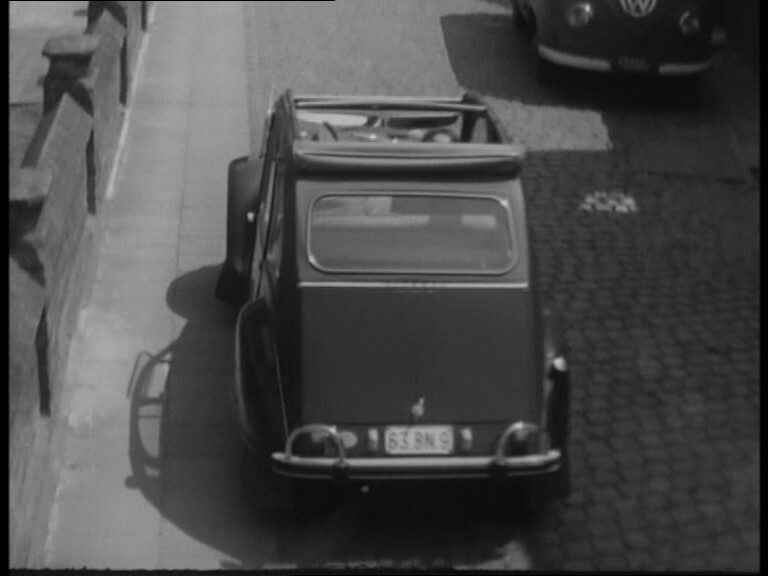 The rear exhaust with the strange pipe going all across the car is (and there is no doubt about that) a sure sign that this is an AZAM 6 (on all other 2CVs until 1970 the exhaust stopped just behind the engine). But some details are wrong: no rear badge (there should have been written 'AZAM6), the 'normal' door handles (they should have been a bit edgier, not like these 'half moons' as used on the AZM3). 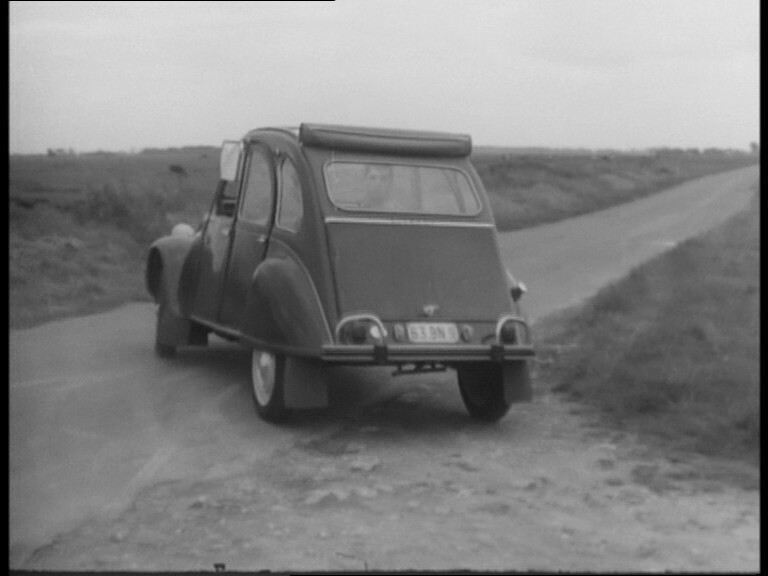 But then, in those days Citroën often just picked the parts that were available, and if they temporarily ran out of edgie door handles they might have taken round ones. DynaMike wrote Thanks a lot for these extra pics, Chris! You're welcome. I'm glad I could be of help. you can see the last part of the pipe and a faint puff of smoke coming out of it. DynaMike wrote The last picture shows a (nowadays) even rarer find! Can anyone tell me the original color of the Axel Nort 2 CV? @Snoopy - not from the series itself, as it was completely in black/white. But I do have the series on DVD and I think there's also a "making of"-part on one of the DVDs. Maybe there are some photos/stills in color. I'll have a look. @snoopy - i'm sorry, there were no color-shots in the 'making-of' on the DVDs. Snoopy wrote Can anyone tell me the original color of the Axel Nort 2 CV? I think only red would photograph that dark. http://www.youtube.com/watch?v=PP7203NXHC4 Couldn't find any colour pictures either.